Pool decks are designed to make the pool easily accessible. The surface and leveling of the deck should be rough enough to provide a firm grip to prevent slips and falls as people move around the pool. If the pool gets damaged by cracks this has the negative effect of destroying the structure of the pool because of leakage. Concrete pool deck repair prevents the seeping of water that can weaken the walls that are supposed to support the structure of the pool. When repairing a concrete pool deck it is important to use products that are suitable for this type of material. When cracks are present this exposes them to moisture that can cause extensive damage to the whole deck. It is essential to carry out repairs as soon as cracks appear to prevent damage from happening. The first step to take when carrying out concrete pool deck repair is to examine the crack and cleaning it as well as getting rid of flakes on the surface. Cleaning needs to be done in order for the cement that will be used during the repair process to be effective. The cracks should be thoroughly cleaned out to ensure that the cement will stick as required. This is why it is necessary to clean well and give it sufficient time to dry. 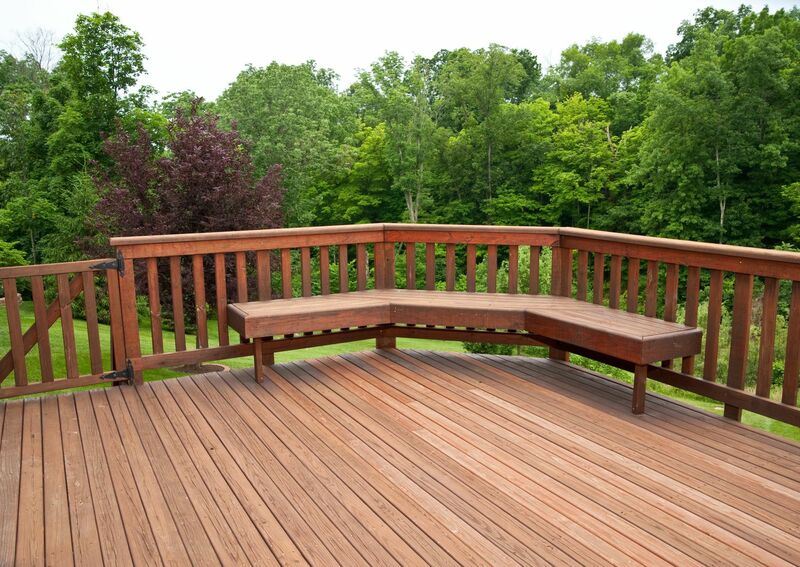 Drying is important because if any moisture remains the new deck will be vulnerable to peeling. An important aspect of concrete pool deck repair is mixing the concrete that will be used. It is always a good idea to mix the concrete in small amounts that will prevent hardening before required. The crack should be filled with the cement that has been prepared. As the new batch of cement fills the crack it is necessary to scrape away excessive amounts. It is advisable to fill the cracks with as much cement as possible because shrinkage will occur after it dries up. When the crack is completely covered the next step is to use a quality sealant. Sealant is a glue-like substance that should be applied after the cement dries. The sealant should be applied on to the patch and spread around by using a brush. The patch should be sufficiently covered with the sealant to make it resistant to water. After the sealing process, the sealant should be left to dry before inspecting how waterproof it is. In order for concrete pool deck repair to be effective a test needs to be carried out after the sealant dries. The test involves pouring some water on the repaired patch. The water poured should ideally remain in the surface of the sealant. If any moisture seeps into the cracks or through the seal it is necessary to place an additional amount of sealant. After the water has been removed more sealant should be applied. Repairing a concrete pool deck is a fairly simple process that can salvage the deck and get it back in good condition. A concrete patching product should not be complicated to use with easy application. For larger cracks a larger amount of the product will be required to properly cover the area that has been damaged. The edges of the repaired surface should be smoothened out and this process should be further worked towards the middle. Any mistake that is made while applying the product should be addressed before it completely dries. Surfaces should be flattened as the repair is done and any excess products can be wiped away. The area can be dried faster by using simple appliances such as hair dryers. The product generally dries slower in the center of the area before the edges.